So you have worked so hard to bring your iPhone application to the market. The iPhone/iPad app business can be quite lucrative. But as a developer you will still have to promote your application online (and possibly offline) if you are interested in making sales, climbing the rankings, and achieving the success you hope to achieve with your iOS app. Thanks to iPhone App theme for WordPress, you can build a portal around your product without spending too much time on the coding part of things. 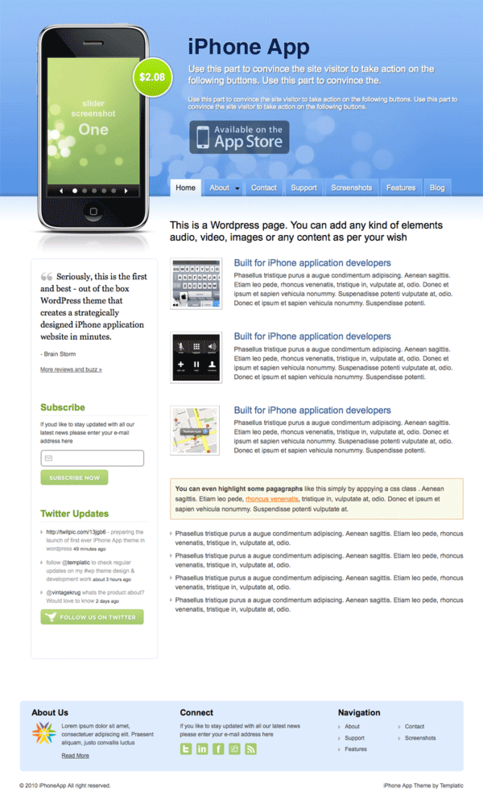 iPhone App theme is built strategically to help developers give their prospects a good taste of what their apps are all about. You can not only provide your visitors with screenshots, benefits, and all kinds of other information on apps, you can also provide them with an easy way to explore your application in the app store. This theme has a powerful back-end for users to take advantage of to customize the look and feel of their website. It supports a side-blog and has a built-in contact page. 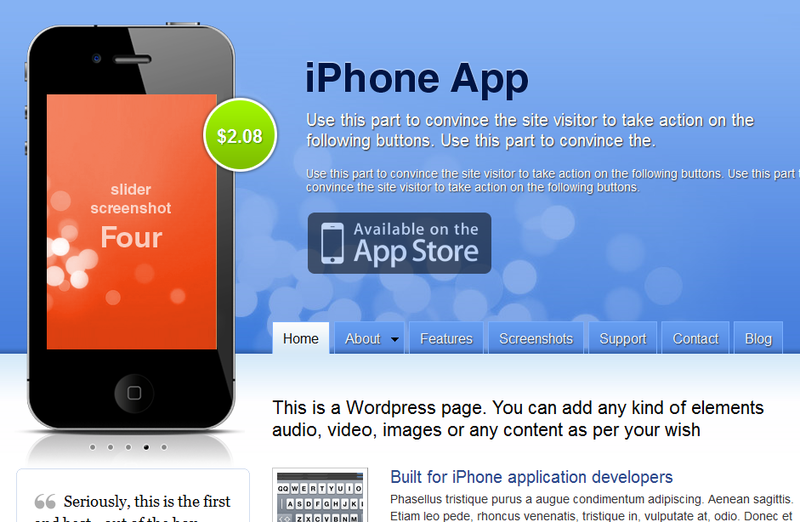 You are in control of what shows up in the screen of the iPhone image on your website. The iPhone screen can be changed from horizontal to vertical. Want to display your testimonials? Rotating testimonials are supported too. If you have just launched an iPhone application, and you don’t have a professional looking website for it, you are missing the boat. This theme lets you build one fast. It is easy to customize too. 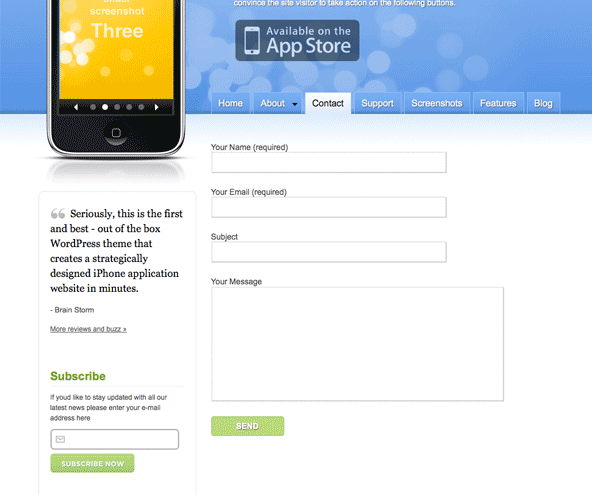 The hard part is developing and making your iPhone app better.